If stomping on opposing players’ arms or faces is part of professional ball I’ll stick to college games, thank you. Then there was the game: exciting for a while if you were, like me, a Trojan fan, but without suspense as the Trojans won, 50-0. It was easy to cheer for USC, harder if you were a UCLA fan, but the Bruins have had their day, and will in the future. 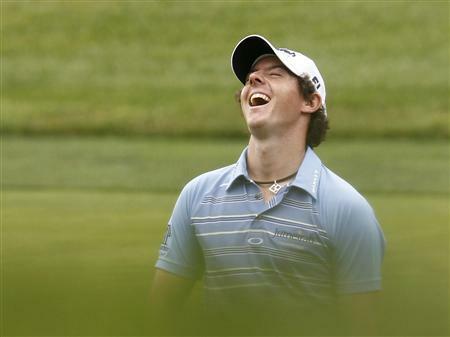 No mixed feelings as you cheered your team on. How different if you were a fan of the long-doormat Detroit Lions of the NFL professional football league. The Lions are 7-4, well placed to make the playoffs for the first time since 1999. 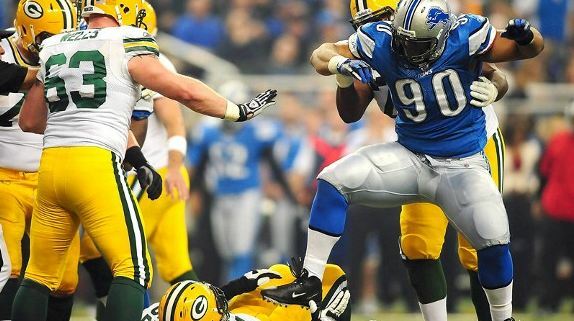 Their offense is led by quarterback Matt Stafford, their defense by the ferocious Ndamukong Suh. It’s hard to root root root for the home team when it’s led by bums. Like Andrew Bynum of the Los Angeles Lakers. Back in May, in the closing minutes of the playoff game in which the Dallas Mavericks eliminated the Lakers, 122-86, Bynum committed one of the ugliest fouls in the history of the NBA. The giant Bynum, seven feet tall and listed at 285 pounds, flattened the smallest player on the floor, J.J.Barea, six feet and 175 pounds, as he was going up for a shot and in a completely vulnerable position. The non-partisan announcers pronounced Bynum’s behavior “disgusting” and “bush league.” Bynum later apologized for the incident, and Laker fans were inclined to give the talented 24-year old another chance. 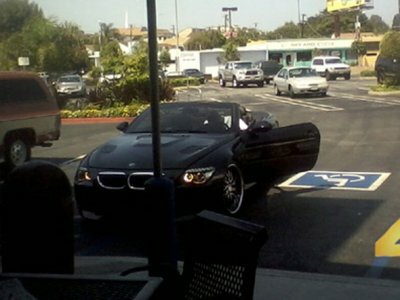 Yesterday NBC television cameras caught Bynum parking in a handicapped spot, in a parking lot that was half empty. The $15-million per year athlete wouldn’t walk a few extra feet, so took a parking space that was reserved for people who couldn’t easily walk the few extra feet. High crime? No. Behavior that’ll encourage me to yell, “Hooray, Andrew”? No. How about “Go, Lakers!” Not while Bynum is on the team.